Running is an extremely popular exercise because it really does work your entire body. Even though most people tend to think that running only develops the lower body, from the glutes to the calves, in reality, it benefits the cardiovascular system, the respiratory system, and the circulatory system as well. Running makes your heart pump harder, and it learns how to pump more efficiently over time as a result. It also gets your lymphatic system moving more efficiently so that your body can eliminate toxins that it has accumulated through a variety of sources. Therefore, running provides a lot more benefits than just muscle development. One of the easiest ways to incorporate a treadmill into your workout schedule is simply by setting aside specific days during the week when you will do running and nothing else. If you want to begin incorporating running on a treadmill into your workout routine, you are on the right track towards improving your endurance, your muscular strength, and your overall health. But it may be difficult for you to figure out how to properly implement a treadmill into your already established routine. If this is the case, continue reading for some tips that will help you do so, no matter what type of workout schedule you currently follow. If you want to try running as often as possible, the best way to do so would be by purchasing a treadmill that you can use right in the comfort of your own home. This is especially true for individuals who bypass expensive gym memberships to exercise regularly at home with weights or fitness DVDs. By having your own machine at home, you can use it at any time of the day or night when you feel inclined to get on it and squeeze in a great workout for just a few minutes. One of the easiest ways to incorporate a treadmill into your workout schedule is simply by setting aside specific days during the week when you will do running and nothing else. These could be your cardio days, for example, or you can do a combination of aerobic workouts and treadmill routines throughout the week instead. Whatever you choose to do, it is always best to plan out your workout schedule on a calendar that you can follow. In this way, you will never forget what you need to do on any particular day of the week. So, for example, if you normally just did a lot strength training exercises throughout the week but you really want to begin incorporating more aerobic workouts by using the treadmill, set aside three days out of the week for running and three days for strength training. After all, your muscles will still get a workout even from using the treadmill alone. Then take one day out of every week to rest. In this way, you can limit your workout time to just 30 minutes without having to worry about spending too much time exercising, especially if you are typically too busy to stay on track. 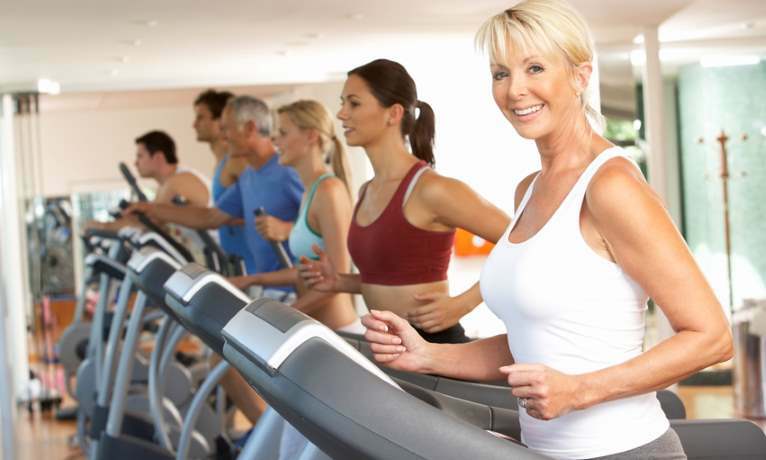 If you do not want to work out on just about every day of the week, or if you want to be sure you get a well-rounded workout each and every time you exercise, then it is probably better if you incorporated your treadmill routine into the beginning of every workout session. This is the best time to get your body moving and the blood pumping because it will prepare your body for the weight training that will take place afterwards. Once you get your body warmed up on the treadmill, you can then move on to working out the various muscle groups that you would normally target during your strength training routines. Do this every time you exercise so that you get a balanced workout that will definitely provide you with results, whether you work out two days out of the week or six days out of the week. For those who normally run outside but realize that they cannot do so when the weather doesn’t cooperate, the treadmill can simply be used on days when running in the great outdoors is not appropriate. Whether you live in a northern climate where the winters are long and the days are short or you live in a tropical environment that receives a lot of rain and high temperatures and humidity, your treadmill won’t let you skip an important workout. Working out on a treadmill can provide you with a host of healthy benefits, but if you have never really done this type of exercise routine before, it can be difficult to incorporate it into your existing workout schedule. Whether you choose to run several days out of the week or you want to combine running with your weight training routines, there are plenty of ways to get yourself on the track towards loving your treadmill and using it regularly.